Vascular lesions can be a drestressing problem for many individuals but can quickly and easily be resolved with today’s available technology. These treatments are a quick and safe solution for broken capillaries rosacea, telangiectasias and other superficial vascular lesions. The majority of patients find significant improvements within only a few treatments. Typically one or two treatments are more than sufficient to see significat results. 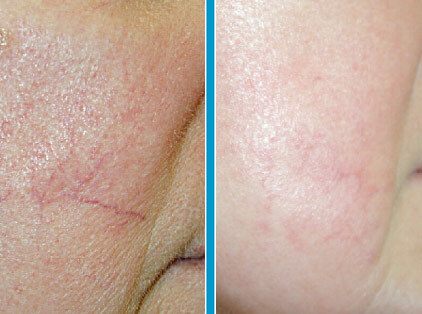 However, it depends on the number of veins being treated, the color and the size of the veins.